Hempshaw’s is said to be a corruption of Helmshaw’s. 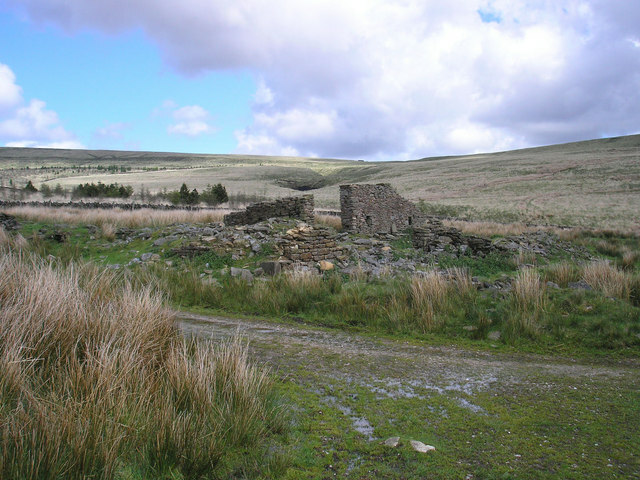 There are two ruins at Hempshaw’s – Higher and Lower. There had been fine barns here, and at least one of the ruins may have been two structures joined into one. There are said to be the remains of a small close planted with trees, which may have been a garden. 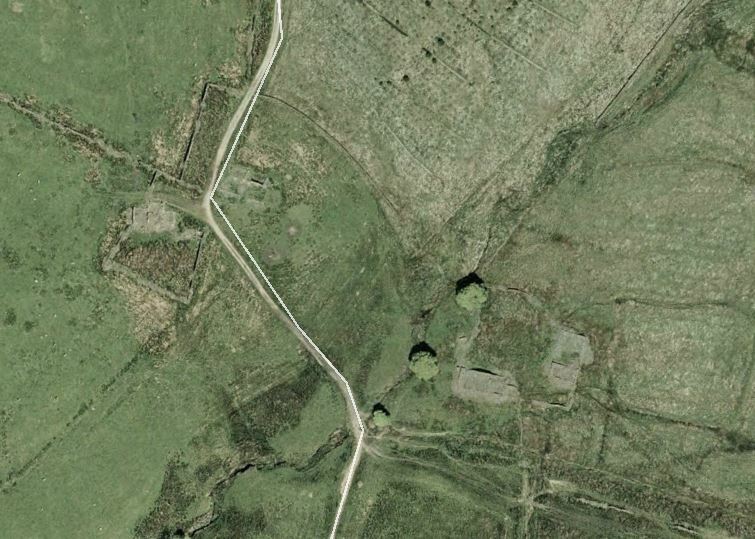 The ruins of Higher and Lower Hempshaw’s are the only isolated farmsteads that are visible from the nearby roads. The valley here was described as the hamlet of Helmshawsyde in a document dated 1520, and Helmeshawes in 1566. 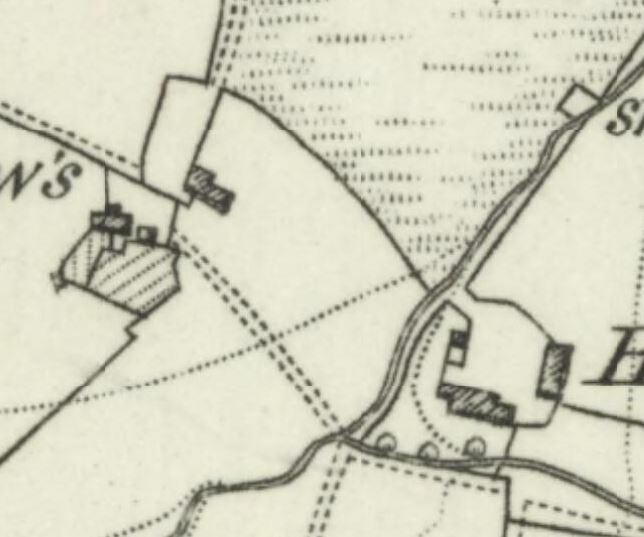 The earliest mention of the spot is Elmshaw about 200 years before. This earliest name may describe the valley here as a small one where elm trees grow. Helm also means Top, or Summit, whereas Shaw refers to a thicket or copse. It’s not really a summit here, certainly not when you look around, so this is to my mind unlikely. There is a third explanation – Helm was a personal name, therefore Helmshawes could easily come from Helm’s Haws (fields). There are certainly no elm trees here now but there was, some years ago, a mock orange tree in full bloom in one of the old gardens between here and Old Rachel’s. Lower and Higher Hempshaw’s in times gone by. The farms here were fed by Green Withins Brook, a tributary of the River Yarrow. 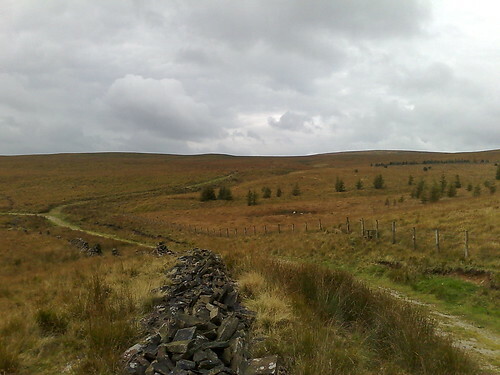 The moorland hills flatten out here and the lay of the land, coupled with the river, make a typical place for an old farm. 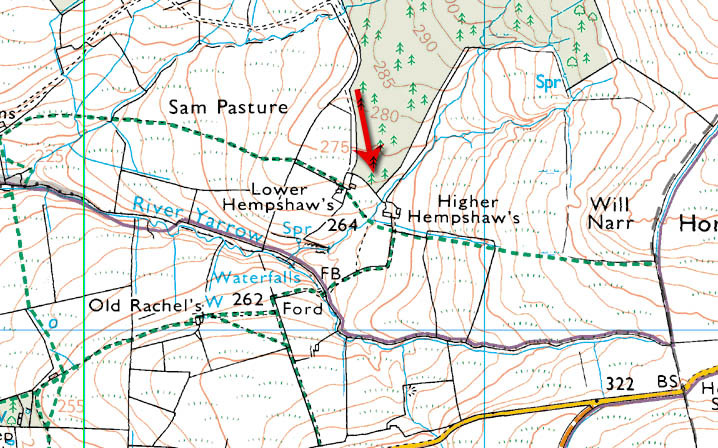 The name Higher would implicate that perhaps these ruins sat higher on the hill than Lower Hempshaw’s, but this is not the case. Higher was the name customarily given to a later house. A farmer and his sons also made their own bowling green here in the 1890’s. Sadly, there is sign whatsoever of this now! The lambing croft served Higher and Lower Hempshaw’s and was approx 5 acres in size, surrounded by a now-crumbling high dry stone wall. There had been a fine barn here, separate to the house, which was large and may have been two properties joined into one. A stone in the left hand side of the farther gateway had a rough, amateurish inscription, AF over 1741. Both farms were inhabited by the Kershaw family in the 19th century. The second part of the Hempshaw’s farm ruins. A child, initials SP, daughter of JP and EB, was born in 1865 in Anglezarke and lived at Lower Hempshaw’s on 2nd April 1871 according to the census of that year. On the next census, she was a farm servant, also in Anglezarke, quite probably also at Hempshaw’s. She died of drowning in the Leeds Liverpool canal at the age of 21 or 22, and was buried in Rivington at the Presbyterian Chapel. I must try and locate the grave. The farm was already ruinous in 1936. There was then the remnants of a staircase still visible, but not now. On the south side of the ruins was a lush garden with a flower bed edged in stone. Both Hempshaw’s had barns, and brick floors in the cow stalls, indicating prosperity. There was a pig sty also, and a fireplace in the north end room, plastered walls, and a low stone bench. Lower Hempshaw’s is on the left, and Higher on the right. In 1969, the children of the last generation of farmers were approaching old age. John Rawlinson talks to them in his About Rivington book. The farmers would never agree that the life was lonely. One told of going from Hempshaw’s to join the army in 1914 on the outbreak of war, and after seeing service in Egypt, France and Mesopotamia, he came home in 1919 to find his parents living in Horwich and the farm empty and desolate. A closer view of the two farms. Another story was of the young son of one of the farmers being told by an aged farm labourer to go quietly around these farms, because a lot of brave men are buried here.